English Regency furniture is often the finest quality furniture I have ever seen. None of this mid-century mass-produced stuff! This piece was purchased in Yorkshire from a proper dealer I have been acquainted with since I lived in Brighton back in the '80s. 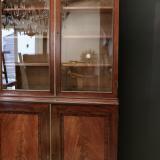 This is a regency cupboard and bookcase. The cupboard opens to reveal a bank of small drawers for a collection of curiosities. 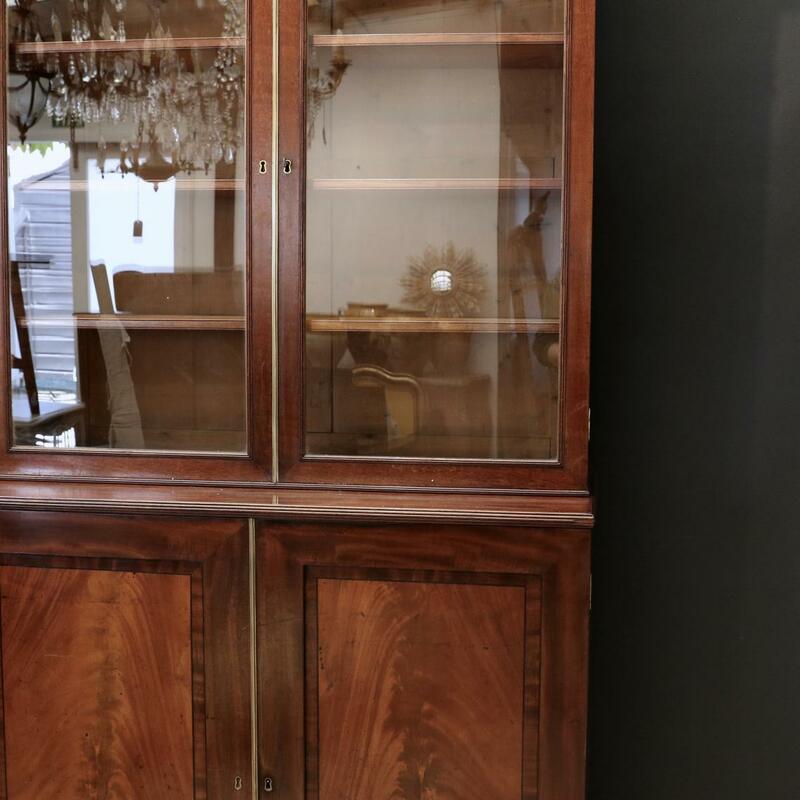 Each door is brass edged and the panels of the doors are fielded with Cuban flame mahogany. If you are interested in this piece or would like more details please call us on +64 9 529 1660 or email info@js.co.nz quoting #111-32.